Red Barrels’ upcoming horror title, Outlast 2, will take advantage of Sony’s PS4 Pro and will feature visual improvements. The studio’s president, Philippe Morin, confirmed this in an interview conducted by PlayStation LifeStyle recently. PlayStation LifeStyle: With PS4 Pro out in about a month, is Outlast 2 going to have a PS4 Pro mode or any improvements that can capitalize with the new console’s power? Philippe Morin: Yes it will. It will have higher shadow quality, higher quality texture filtering and more detailed meshes. That’s what we have so far, but we’re still working on some improvements. Apart from the visual enhancements named, it appears that Red Barrels is working on additional improvements on Sony’s enhanced PS4. 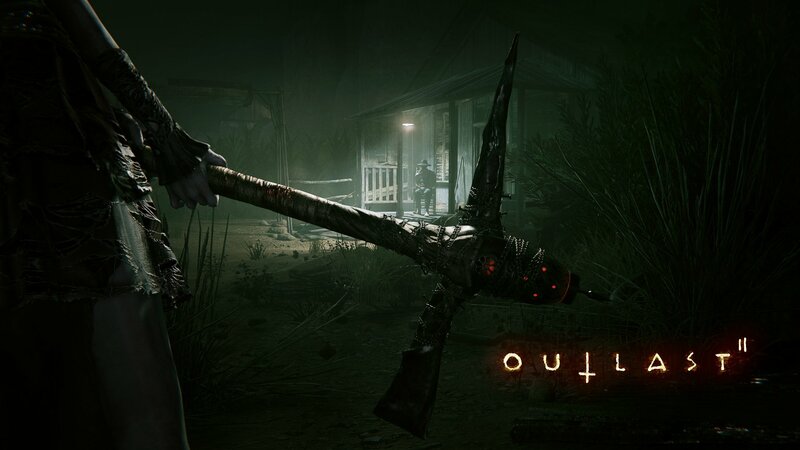 Outlast 2 was initially slated for a release this Fall, but was later delayed to the first quarter of 2017. “We want you to know that we listen to your feedback, we see your excitement and we know you care about our work,” Red Barrels said in a Facebook update back in August of this year. “Our mission as an indie studio is to deliver to you the best, most terrifying, most fulfilling experiences possible. That’s why we’re taking just a little bit more time to make sure our vision for Outlast 2 is in no way compromised and is the experience you deserve. Outlast 2 will release for PC, Xbox One, and PS4.